A TRUE GEM in fast growing East Village aka the Vancouver Brewery District! Rarely available 2 bedroom south facing corner unit that’s close to all levels of schools, restaurants and easy bus access to d/t and hwy 1. 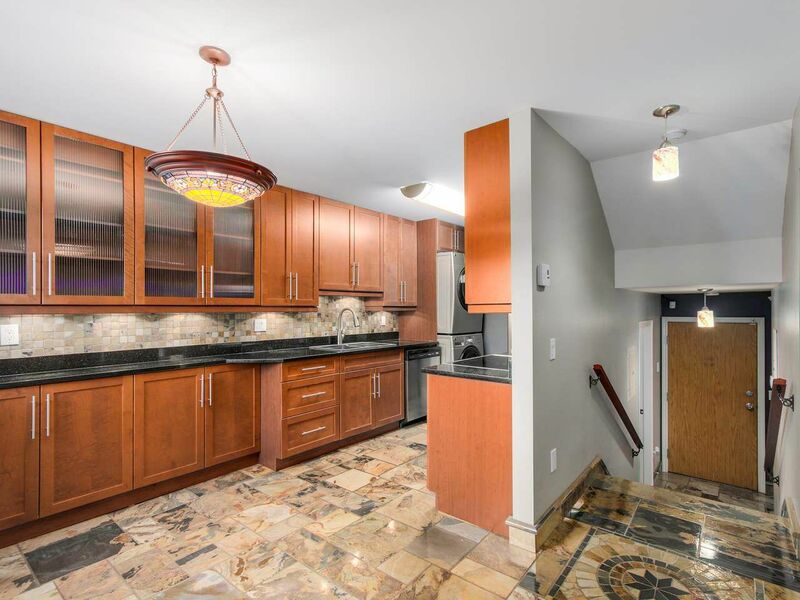 About $80k in upgrades, professionally renovated unit with all permits. Upgrades include sound proofing double insulation for peace and quiet, enclosed balcony for more living space, upgraded polished slate tiles throughout with pencil bullnose baseboards, granite counters, energy efficient s/s appliances with a full sized w/d, ceiling fans in all rooms, Nuheat radiant flr , a gorgeous tiled remodeled bathroom and much more in a well run building. Open house Saturday, April 16th 2-4pm.